Professional development to learn entrepreneurial mindset. Business coaching specializing in systems and processes for holistic centers and studios. Our ideal clients have graduated from a school or certification program in the following fields: Naturopathic Medicine, Chinese Medicine, Massage, Somatic Bodywork, Coaching, Healing Arts, Sociology, Existential Education, and other holistic fields and are interested in developing multiple streams of income to grow their practice into a business endeavor. Immerse yourself in the fire of experience to remove the virus called fear. Stillness is the beauty of this work, as you take the new action you begin to listen to your inner voice to awaken to your inner power. We show you how! You create insight and beauty when you begin to accept and love yourself. Discover there is no failure but great power of knowledge building. With that power, you are able to love others with the same kindness. As we awaken, we see the simplicity of life. Humans are amazing! We’ve been shown over and over again, but yet too many people hide their true Self away. Time to wake up and begin behaving in amazing ways! This wakes you up to become fully energized to take charge of your life! Become a student of your life through the Living Consciously Education Program. From the beginning the reader recognizes this is not your ordinary step-by-step process of help. This is a non-linear exploration of the depths one would take to become healthy in whole. The reader learns how to utilize their mind to create the expression of life to support them completely. This book is an easy and excellent read about a subject the world needs desperately. With all of the ego-based greed and shallow values we find in current society, this book puts it into succinct perspective. I have studied metaphysical illnesses and healing for years and must say, I love Karen’s approach. Her workbooks give you hands-on guides for achieving results. The world is awakening to the truth about stress-related illnesses and taking a new look at what are now becoming tried and true methods. You’ll love the life you create once you understand how stress can alter your health and happiness. This book is a great way to change your life! 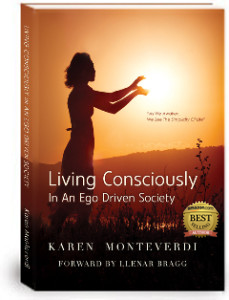 Karen Monteverdi, CPC is professional I recommend her to anyone to take action in making their lives better. Karen – You’ve taken your trauma and molded it into something beautiful, it takes my breath away! Karen’s compassion, expertise gave me the tools to discover my own natural healing abilities as a Business Coach! Karen – Thank you so much. I have had so many revelations and finally feel like I am on the right path. The most valuable was learning the technique of connecting with and having compassion, forgiveness, and gratitude for a person whom I have attracted into my life. 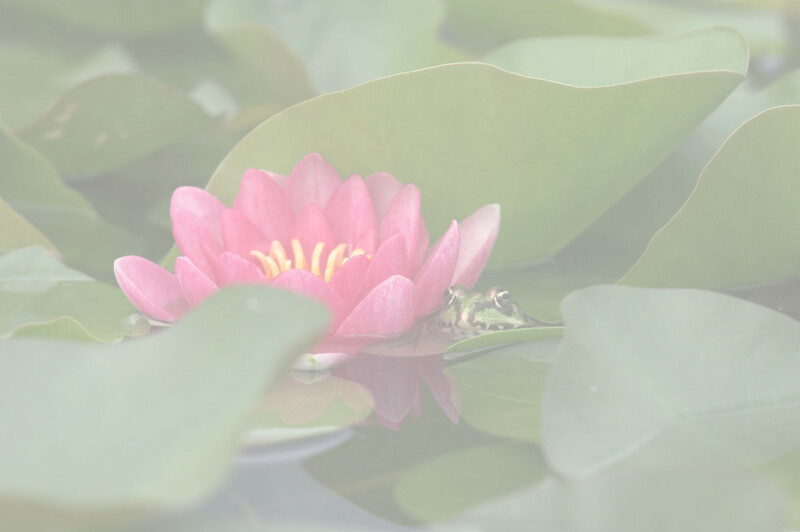 At GreenMountain Enrichment and Empowerment Center we offer personal growth and development distant learning courses to those who wish to free themselves of their hidden self-sabotaging beliefs, behaviors and past agreements to fully experience the beautiful nature of the universe. All things exist; therefore all things, experiences and life choices are available for us. We are the ones who wish to play the game of life powerfully. The Living Consciously Education System helps relieve suffering to those who are on the path of Self-Awareness. The BizRichment™ Courses teach the art of collaborative communication through Self-Expression. Our company born in Portland, Oregon, and moved to New York in 2014. Though we’ve moved we kept our Portland spirit alive. We offer Local, National and International Business and Personal Growth. +001-503-762-3118. The company is leaving a legacy of empowered heart centered business owners throughout the world. The work continues to help individuals, groups and small business owners create clarity around their core principles. They then speak these principles into every word, thought and action of their daily lives. 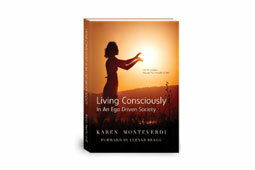 Responding to contemporary needs the first Living Consciously Transformational Program© was created in 2010. The work continues to expand into Life Skills Training and Leadership and Development courses for those who want to their expand core values and principles into their family or work life. In 2010, the book, courses and seminars have been given unofficial accolades by Dr. Bruce Lipton, and Dr. Gabor Mate. The book has received official promotions by Tony Borroughs and the Intenders of The Highest Good. Reverend Llenar Bragg of the show No Out There and The Law of Attraction for Happiness Group in Portland Oregon. Send your question to our GEEC Team, we'll make sure you are emailed the correct response. Thank you for reaching out to us, we look forward to hearing from you! We’ll get back to you within 24 to 48 hours. Please note we do not sell or share your contact information with anyone. Your permission is assumed to contact you when you feel out this form.